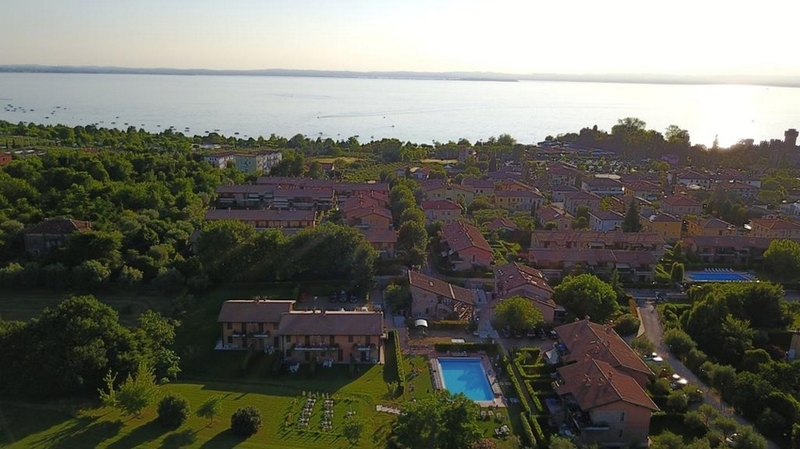 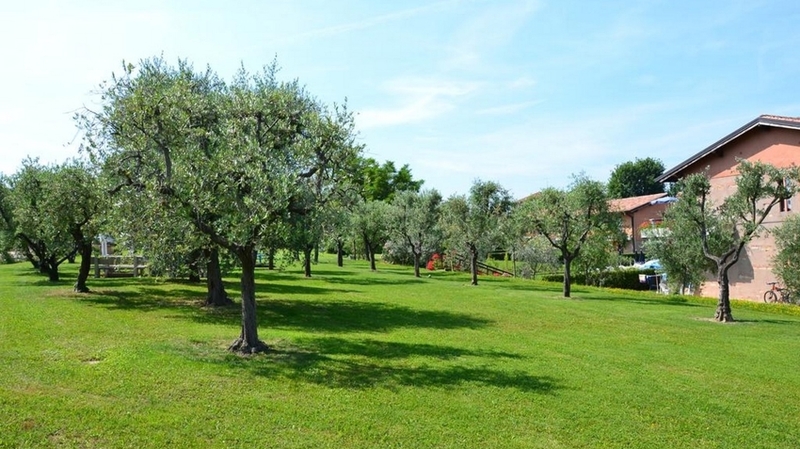 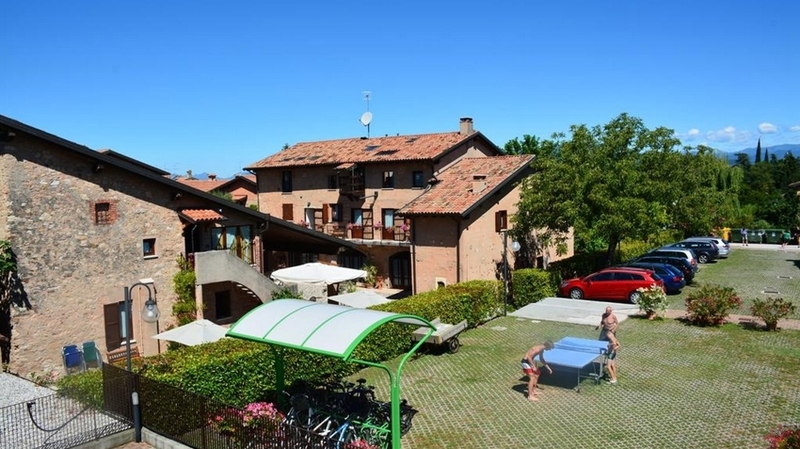 Residence Corte Casara is located in the middle of nature and yet 300 m from the picturesque centre of Lazise and only 400 m from the shore of Lake Garda. 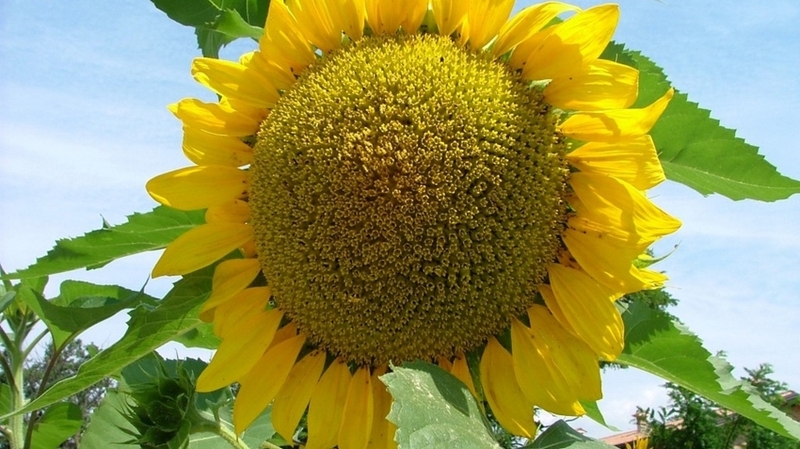 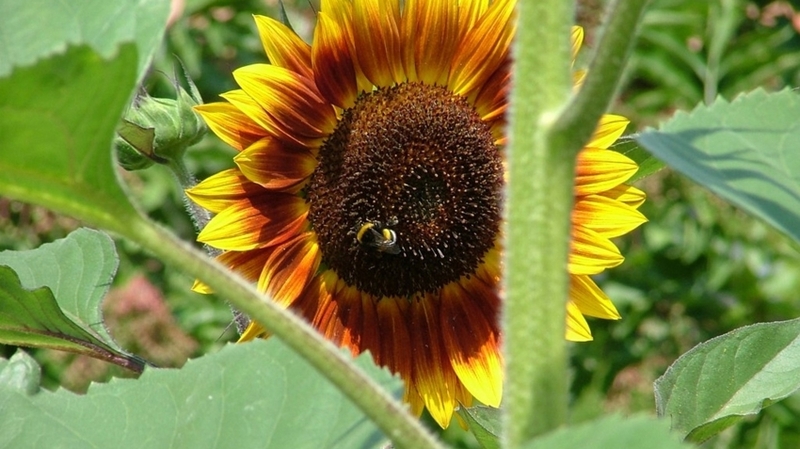 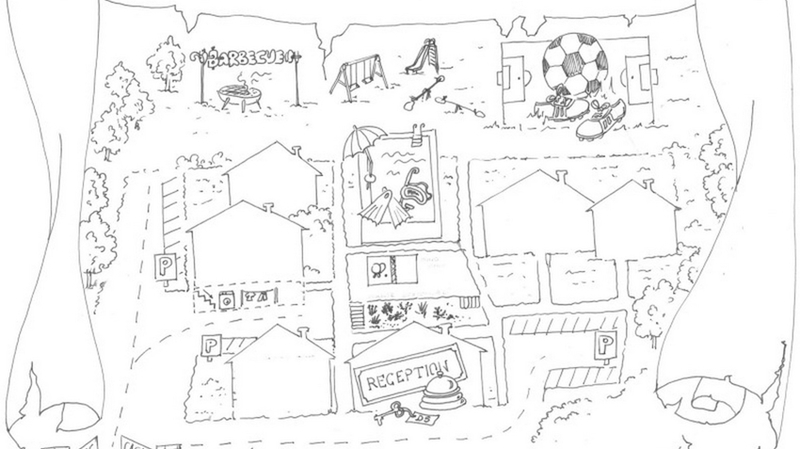 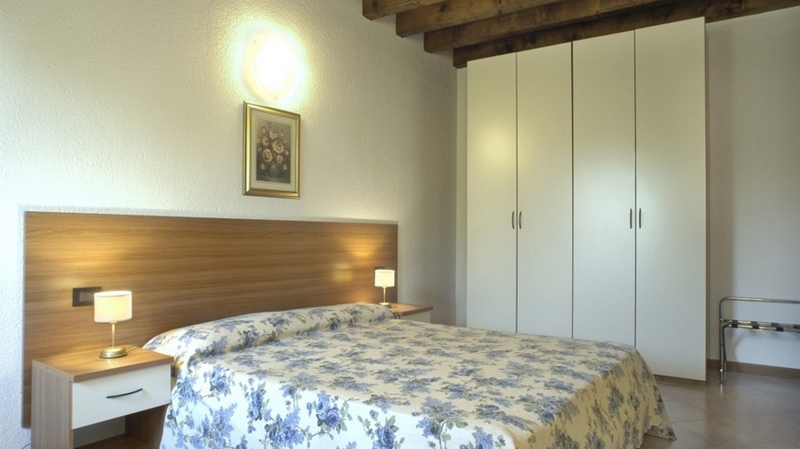 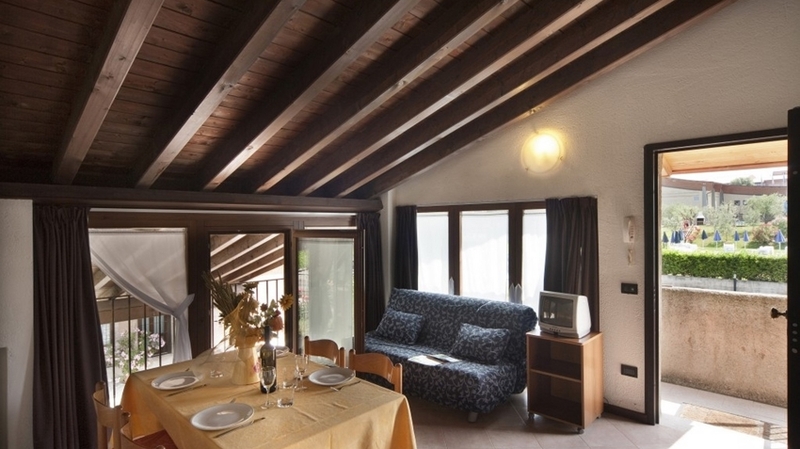 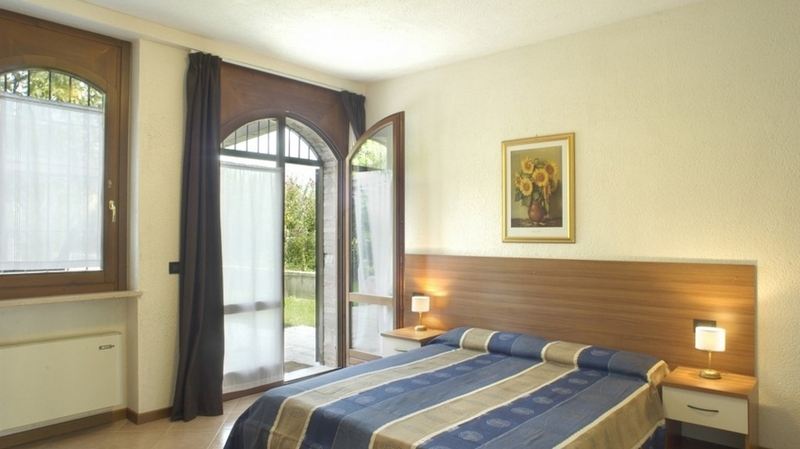 The cosy apartments are located in two buildings surrounded by a wonderful garden. 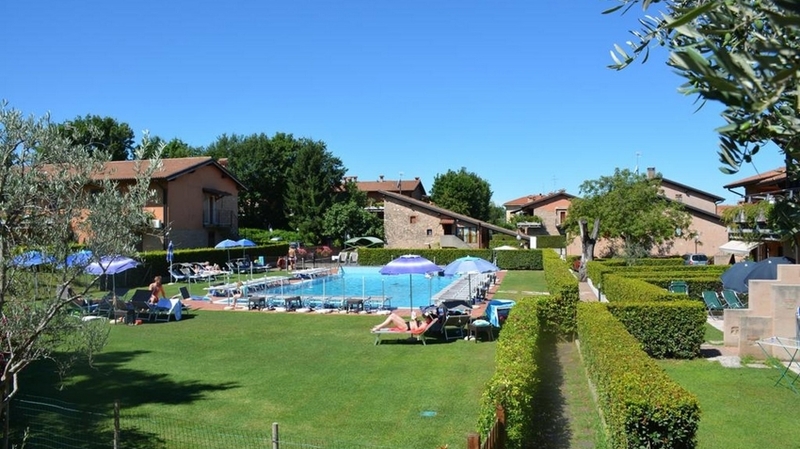 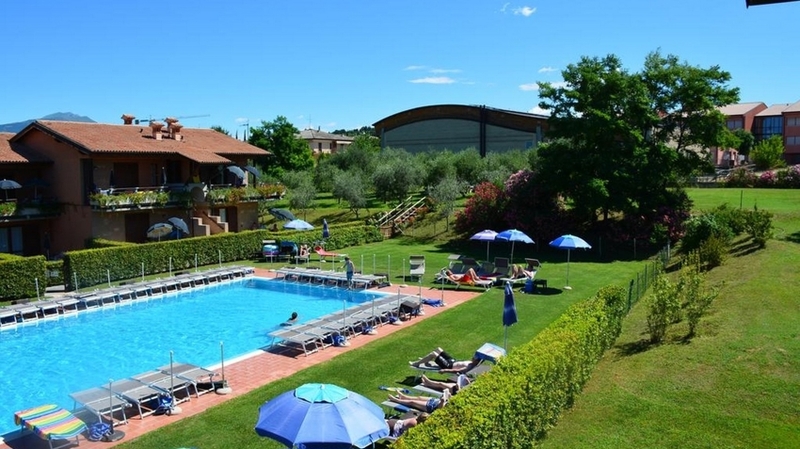 Residence Corte Casara also has an outdoor pool with sunbeds and sunshades, a playground, table tennis, barbecue facilities, a reception, a washing room, an internet point and private parking lot. 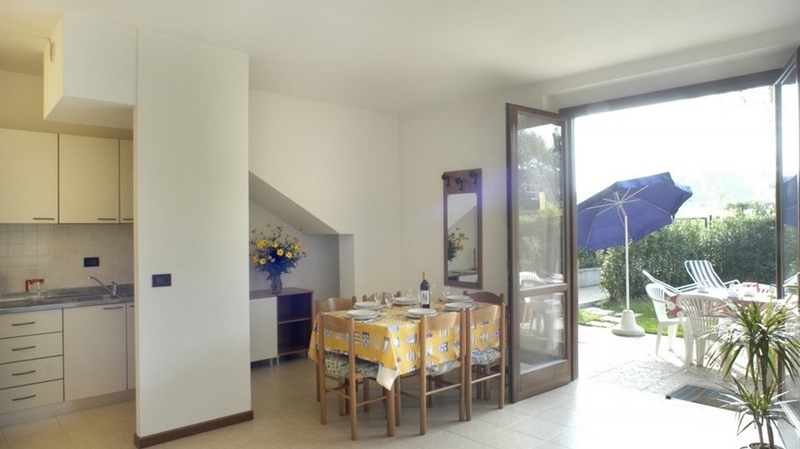 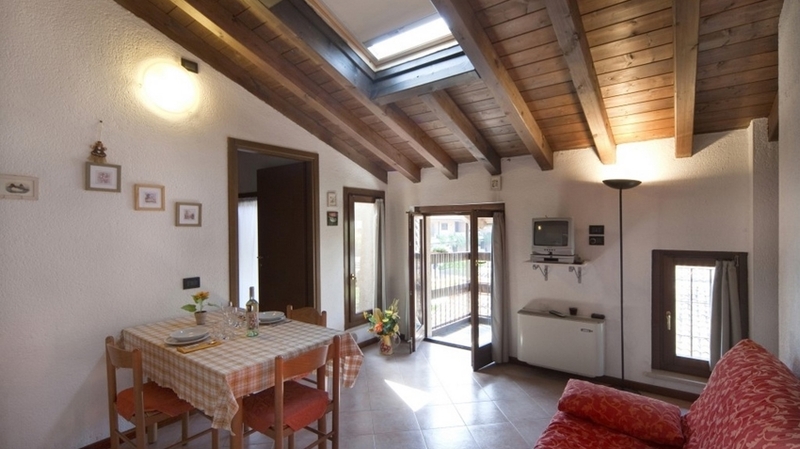 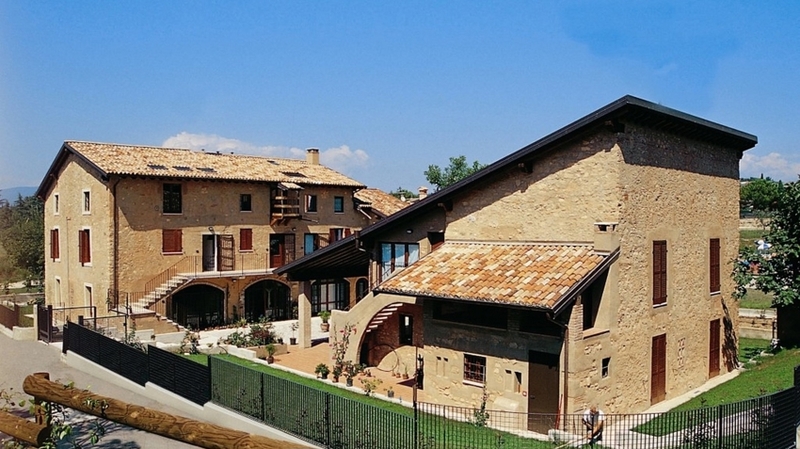 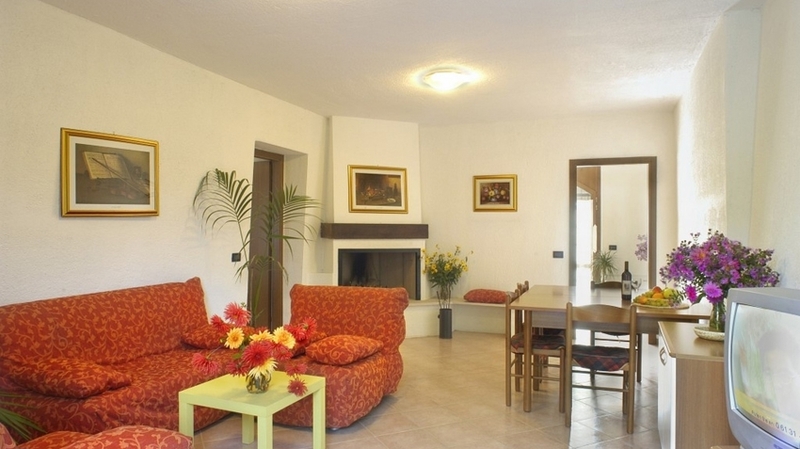 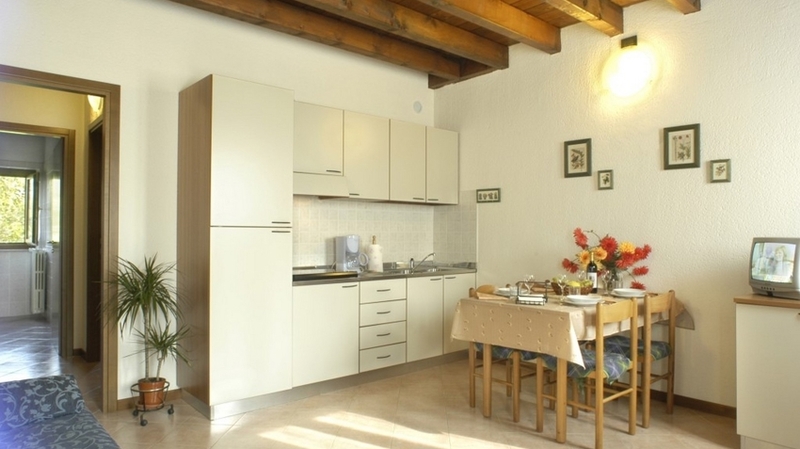 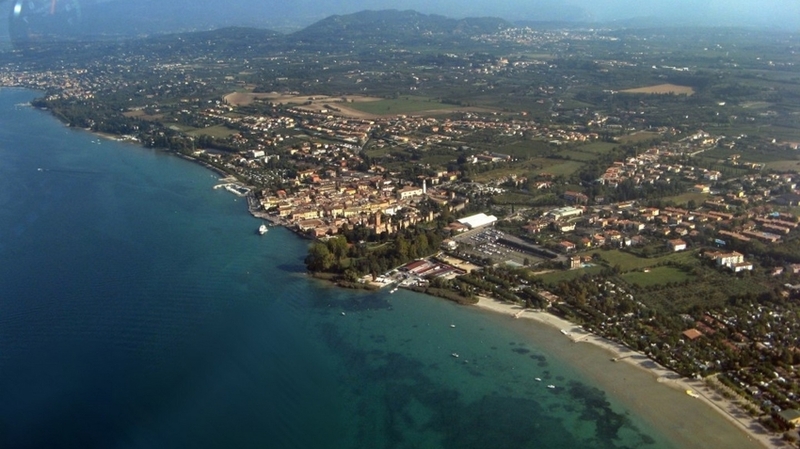 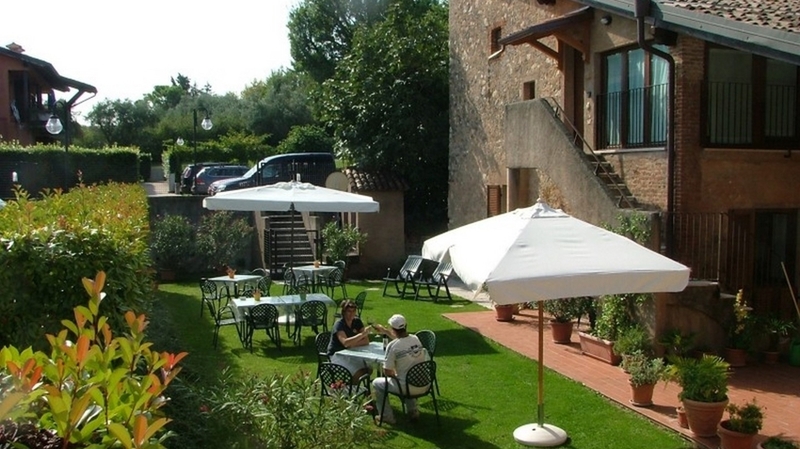 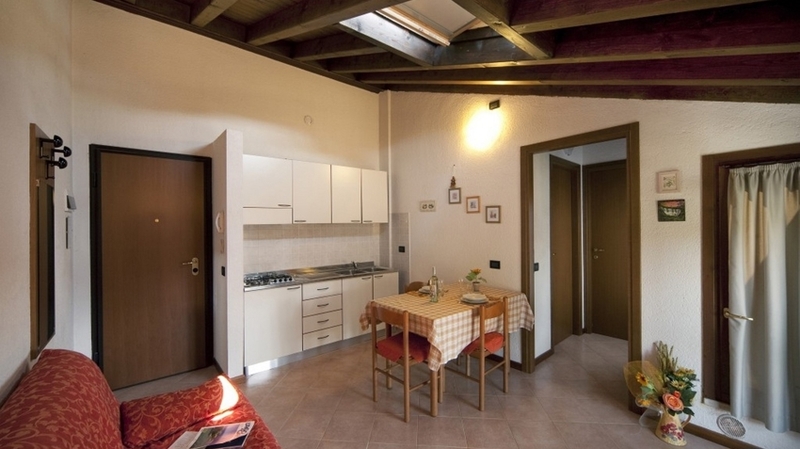 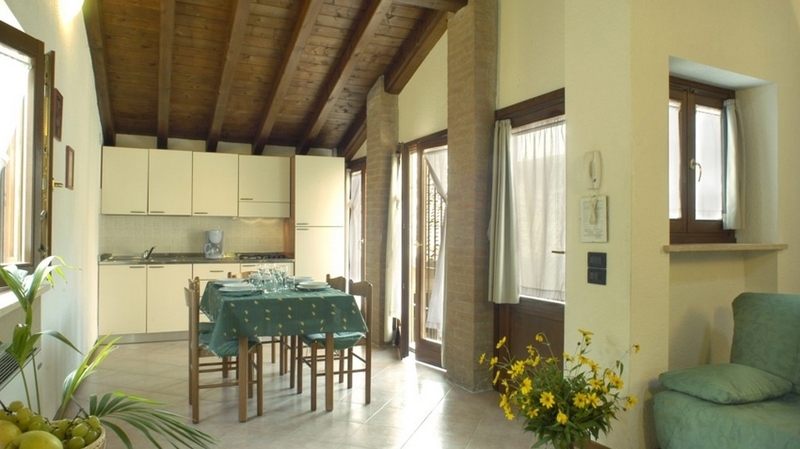 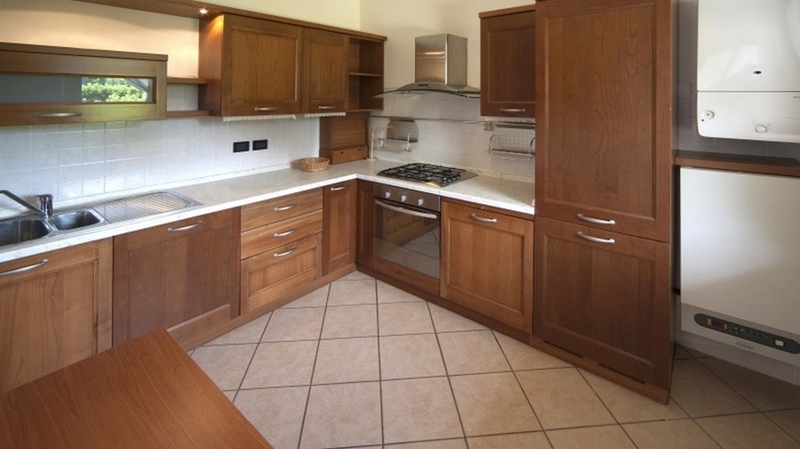 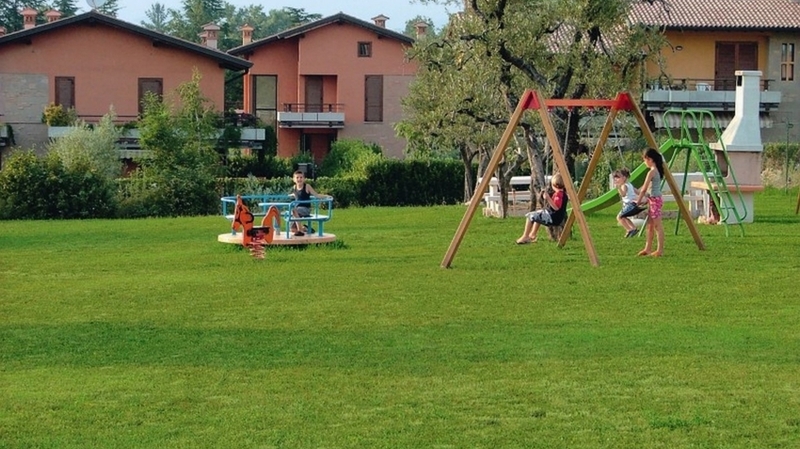 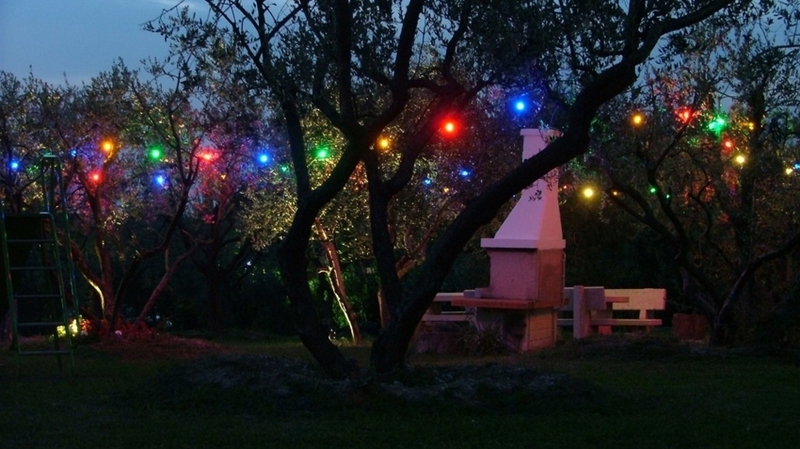 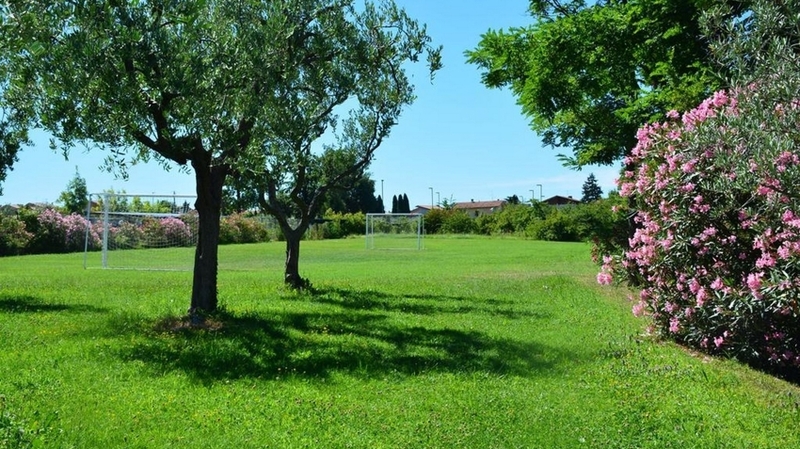 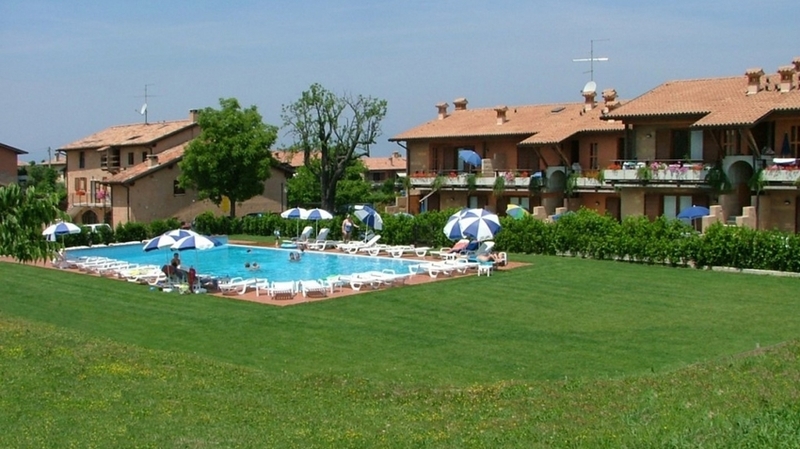 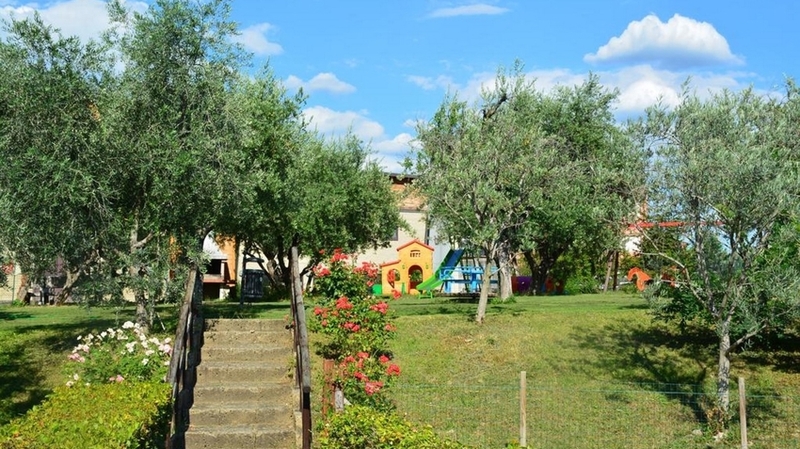 Residence Corte Casara near Lazise offers comfortable apartments of different sizes. 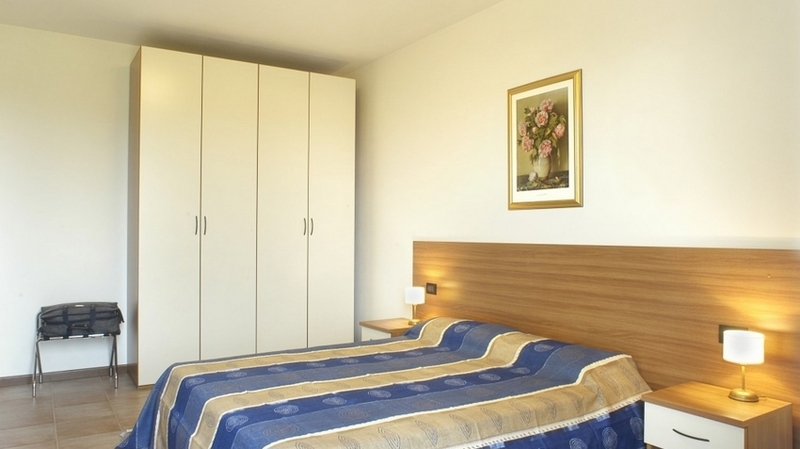 The 25 holiday flats have a separate entrance, one or two bedrooms, a living room with fully equipped kitchenette, a bathroom with shower and WC, satellite TV as well as air conditioning and heating. 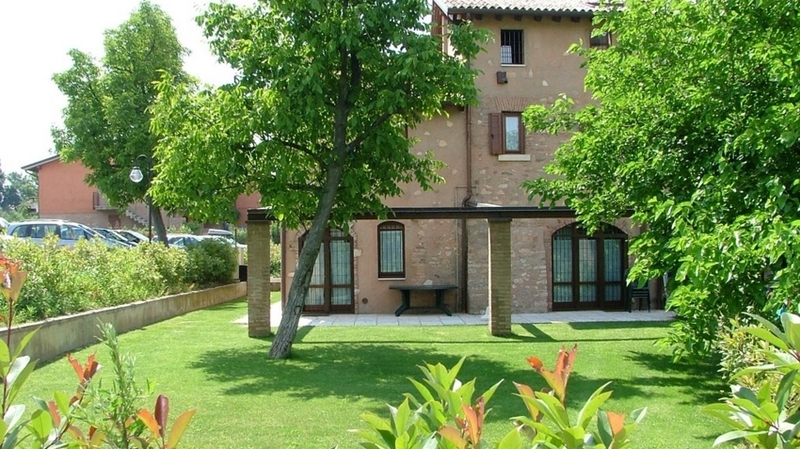 They are located in quiet surroundings, with a wonderful view of the garden. 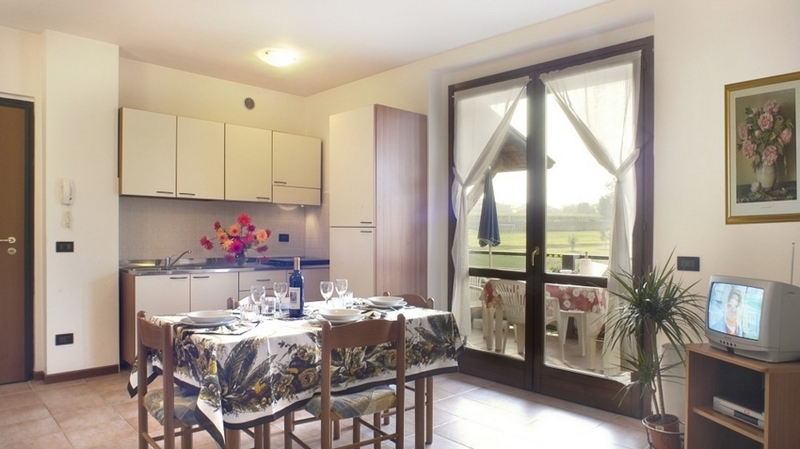 As well, the apartments have a balcony, a terrace or a direct access to the garden. 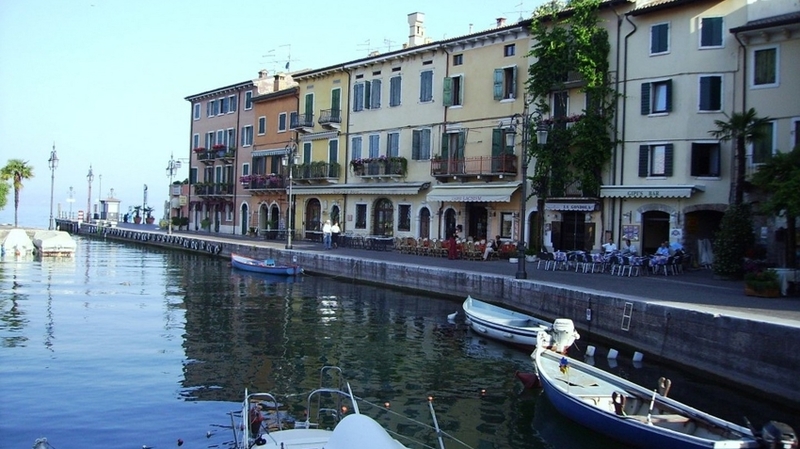 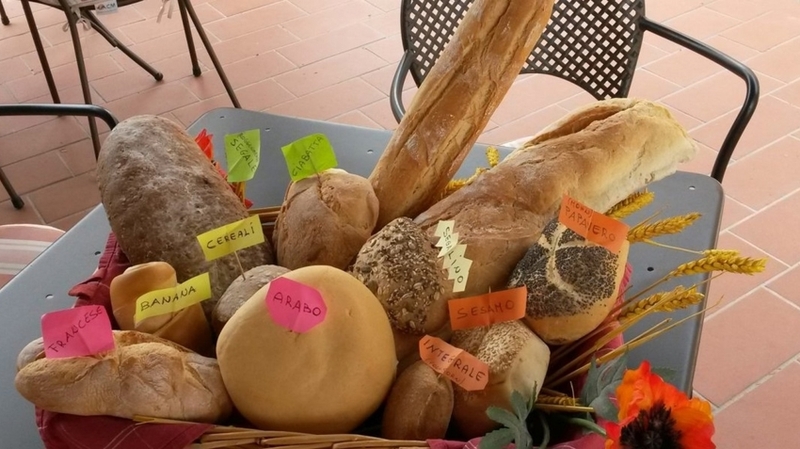 Lazise is one of the most popular holiday resorts at Lake Garda and offers a picturesque historical centre, with numerous restaurants and shops as well as a wonderful beach sandy beach. 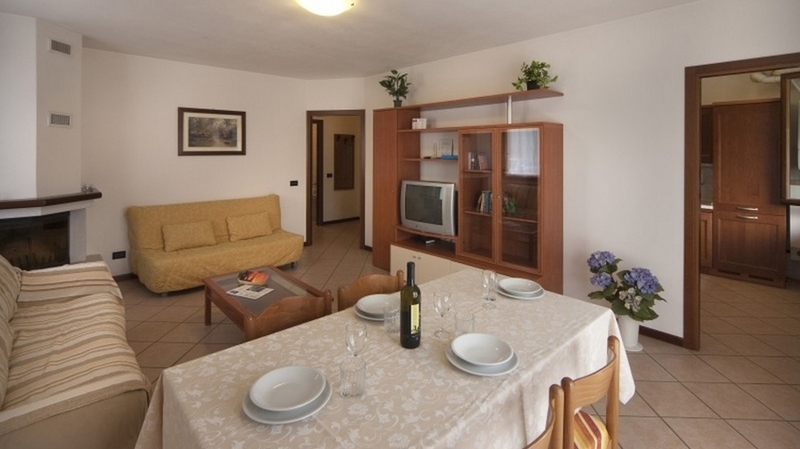 The beach can be reached within a few minutes on foot from the apartments of Residence Corte Casara and is ideal for families, active guests and relaxation seekers. 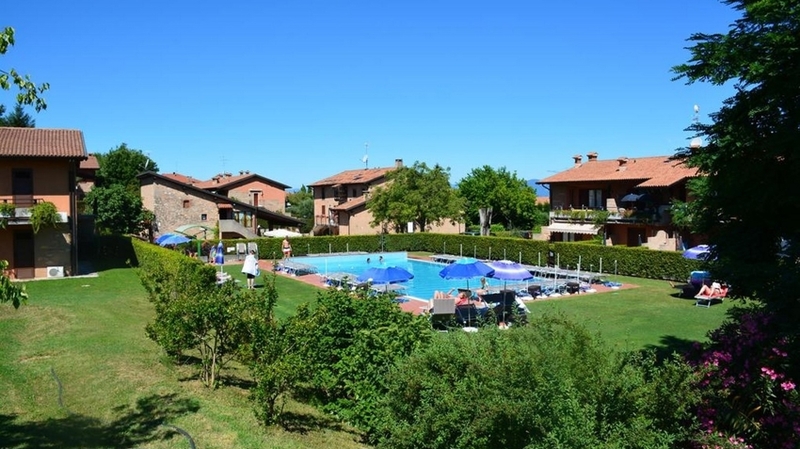 Right at the doorstep, you will also find amusement parks such as Gardaland, thermal baths, nature parks and countless attractions. 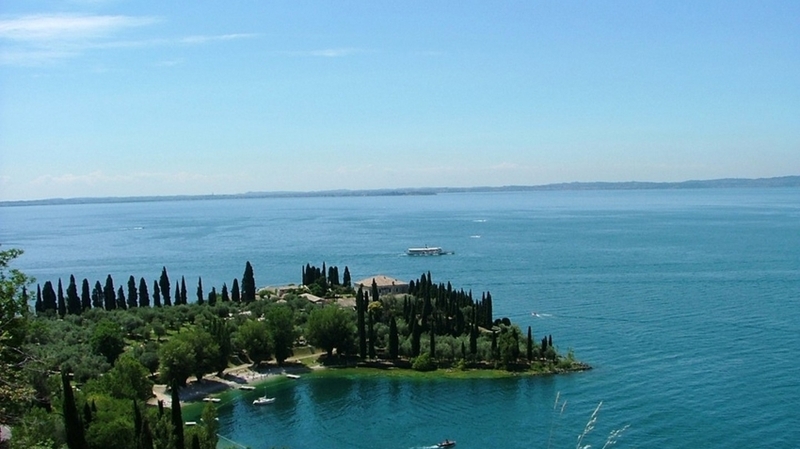 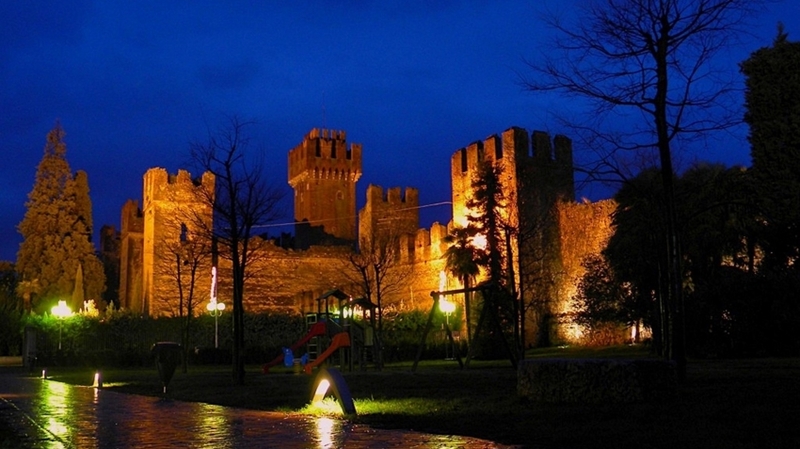 As well, we recommend to visit the popular centres at Lake Garda, such as Sirmione, Bardolino or Garda or as well the romantic city of Verona.